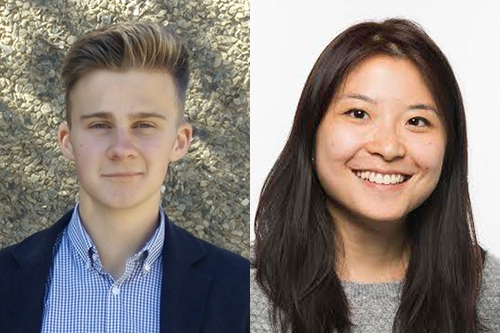 Two City, University of London students have been awarded data journalism internships by the BBC after winning a national competition sponsored by the Office for National Statistics (ONS). The two, Alexandra Ma and Ryan Watts, are both on the MA Interactive Journalism course at City. Alexandra is a graduate of Georgetown University's School of Foreign Service in the US, and worked for one year at The Huffington Post's world news desk in New York before studying at City. Her work for the BBC includes articles on the longest delays at UK airports and the number of English beaches with lifeguards. Ryan is originally from Aylesbury. He studied Politics at the University of Warwick before undertaking his Masters at City. The pair won two of the six awards offered by the ONS to journalism students across the UK. The internships are designed to encourage the development of data journalism skills and the use of open data held by the ONS. Students spend a month on the BBC data desk developing news and stories from data sources. City, University of London is a global centre of excellence for journalism training, in particular data journalism. City runs a highly prestigious MA Interactive Journalism programme. The Department of Journalism at City is leading an EU wide big data, fake news and verification project after being awarded more than £300,000 by the Google DNI fund. Tom Felle, Senior Lecturer in Digital Journalism at City, said: “These internships will encourage the use of the ONS’s treasure trove of data to better inform the public – a key principle for all journalists. “City graduates are to the fore yet again when it comes to major national awards such as these ONS internships, proving that a City Masters in Journalism really is a great pathway into a dream career in the media,” he added. 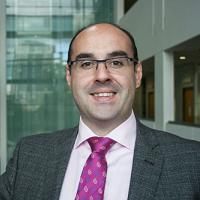 Commenting on the awards, Darren Waters of the ONS, said: “At ONS we know the challenge of making complex statistical information clear and accessible, so that it can be used to underpin decisions that affect everyone in the UK.